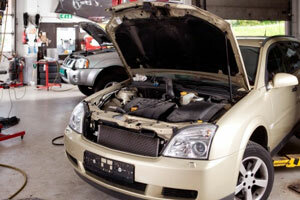 Feeling the heat of a broken air conditioning system or an engine that’s not running properly – or not running at all? Scottie’s Auto Body in Hillsboro, Oregon, can help you take care of that worrisome knock, that mysterious bump or painful squeal that’s become an unwelcome element of your car. Age, long winters, extended miles and crashes can knock your car out of alignment, endangering its performance and your safety. Malfunctioning airbags, brakes and engines can be dangerous, while problems with air conditioning, alignments and diagnostics are annoying and make driving more difficult and less comfortable. Our complete range of repair services starts with a thorough assessment of any damage and a clear, honest evaluation of what work will be needed to fix it. We will also give you an idea of how much it will cost to get your car back to its former condition, even after a serious collision. We are trusted to work on any most makes and models, from prized vintage rides to family vans and daily driving sedans. Our experience with computerized diagnostics, Department of Environmental Quality compliance, airbag inspection, air conditioning repair service, alignments, brakes, suspension, engines and every auto system from bumper to bumper means that we can fine tune and fix up your car with the latest technology, allowing us to get it back to perfect condition and back on the road in no time. Customers from all across Hillsboro, Forest Grove and across the Metro Northwest have trusted us to assess and repair damage to their vehicles and get them back to smooth, comfortable driving. See for yourself why Scottie’s Auto Body is the trusted name in mechanical auto repairs. Call us at 503-648-6436 today for a repair, quote or set up an appointment to find out what we can do to get your car back on the road.